Plans for a block of 330 student flats in Brighton have been turned down on a site that councillors said should be used for affordable housing. The plans included 24 affordable homes in an eight-storey block proposed to go on the site of Enterprise Point and a neighbouring building in Melbourne Street, just off Lewes Road, Brighton. The area is home to several student blocks, including at the Vogue Gyratory. The latest scheme was submitted by a Cheshire developer called Vita Brighton 1 and Crowborough property investors Cross Stone Securities. But Brighton and Hove City Council Planning Committee turned down their planning application at a meeting at Hove Town Hall this afternoon (Wednesday 3 May). Vita even offered almost £1.3 million to fund eight affordable homes elsewhere in the area. A report to the Planning Committee advised councillors to reject the proposal for a site that had been earmarked for 80 homes with employment space. The existing buildings are industrial units, with six-storey Enterprise Point having previously been home to the Access to Music college which closed in summer 2016. Neighbours sent 49 objections saying that there was too much student housing in the area and not enough affordable homes. Labour councillor Emma Daniel, who represents Hanover and Elm Grove ward, urged the Planning Committee to turn down the scheme. Councillor Daniel said: “Residents believe this proposal is far too dense for the small street it is on. Fellow Labour councillor Clare Moonan asked about the pressure on family homes in Hanover and Elm Grove and whether this block might make a difference. Councillor Daniel said that student housing developers always say that they will take the pressure off and free up family homes but “one does not stop the other”. Another Hanover and Elm Grove ward councillor David Gibson asked the committee to defer its decision so that the application could be adjusted to make the housing more desirable. 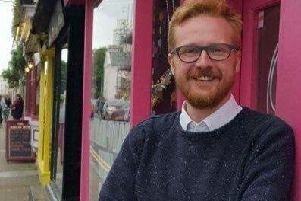 Vita’s agent Mark Hoskins said that the plans offered modern co-working space to meet Brighton’s employment needs while the student flats would also help cater for local demand. Vita’s strategic planning director Michele Steel gave a personal commitment that the company would maintain and manage the building, landscaping and public areas. Conservative councillor Carol Theobald said that the proposed scheme was better than the “complete eyesore” at the site but she wanted the plans to include more housing. Labour councillor Jackie O’Quinn said that there was too much student accommodation in the Lewes Road area and that it should be spread around the area. She said that the scheme had the potential to cause “parking chaos”. Green councillor Leo Littman said: “We have talked about light, height, bulk, trees, cars, transport and a whole range of issues but fundamentally this is not with policy. Conservative councillor Denise Cobb was the lone voice in favour of the plans. Councillors voted ten to one against the application.